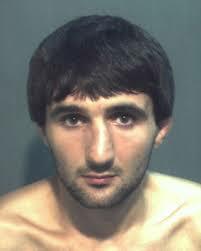 Not everyone is satisfied with how the FBI handled Ibragim Todashev, a Chechen man who had ties to one of the Boston Marathon bombing shooters and was killed by an agent during an alleged confession. The Christian Science Monitor reports that state prosecutor Jeffrey Ashton and others, including civil rights groups, have some qualms with the FBI’s handling of the affair. The account of Todashev’s death was finally released this week after a 10-month hold during which the FBI blocked access to the medical examiner’s report, CSM reported. “The central question of whether the killing of Mr. Todashev was justified remains frustratingly unanswered,” Baylor Johnson, an American Civil Liberties Union spokesman, told NPR after the report was released Tuesday. Posted: 3/27/14 at 9:48 AM under News Story.